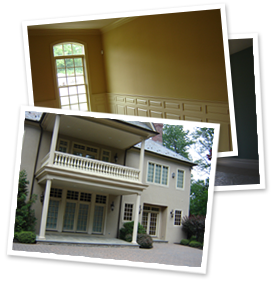 Stefan Capaldo Painting is a family run business. We are fully qualified to handle any project, large or small. Our crews are experienced, professional, energetic, and courteous. We know that honesty in business and a job well done make for happy customers. We deliver unbeatable service and workmanship on every project. Preparation is 75% of a job. Unless handled properly, the final coat of paint will inevitably fail sooner than expected and cost the homeowner more money. Our thorough preparation process is unsurpassed to ensure a long lasting product and satisfaction for years to come. Unlike most unestablished contractors, we carry $2 million in liability insurance along with workman’s comp insurance for all of our employees.